On the Road chronicles Jack Kerouac's years traveling the North American continent with his friend Neal Cassady, "a sideburned hero of the snowy West." As "Sal Paradise" and "Dean Moriarty," the two roam the country in a quest for self-knowledge and experience. 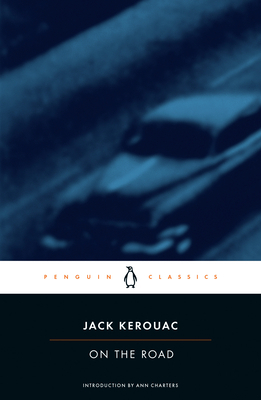 Kerouac's love of America, his compassion for humanity, and his sense of language as jazz combine to make On the Road an inspirational work of lasting importance. Kerouac’s classic novel of freedom and longing defined what it meant to be “Beat” and has inspired every generation since its initial publication more than fifty years ago. This Penguin Classics edition contains an introduction by Ann Charters. Ann Charters is a Professor of American Literature at the University of Connecticut. She is the editor of The Portable Sixties Reader, The Portable Jack Kerouac, two volumes of Jack Kerouac's Selected Letters, and Beat Down to Your Soul. She teaches at the University of Connecticut. "An authentic work of art . . . the most beautifully executed, the clearest and the most important utterance yet made by the generation Kerouac himself named years ago as 'beat,' and whose principal avatar he is." "On the Road has the kind of drive that blasts through to a large public. . . . What makes the novel really important, what gives it that drive is a genuine new, engaging and exciting prose style. . . . What keeps the book going is the power and beauty of the writing." "One of the finest novels of recent years. . . a highly euphoric and intensely readable story about a group of wandering young hedonists who cross the country in endless search of kicks."